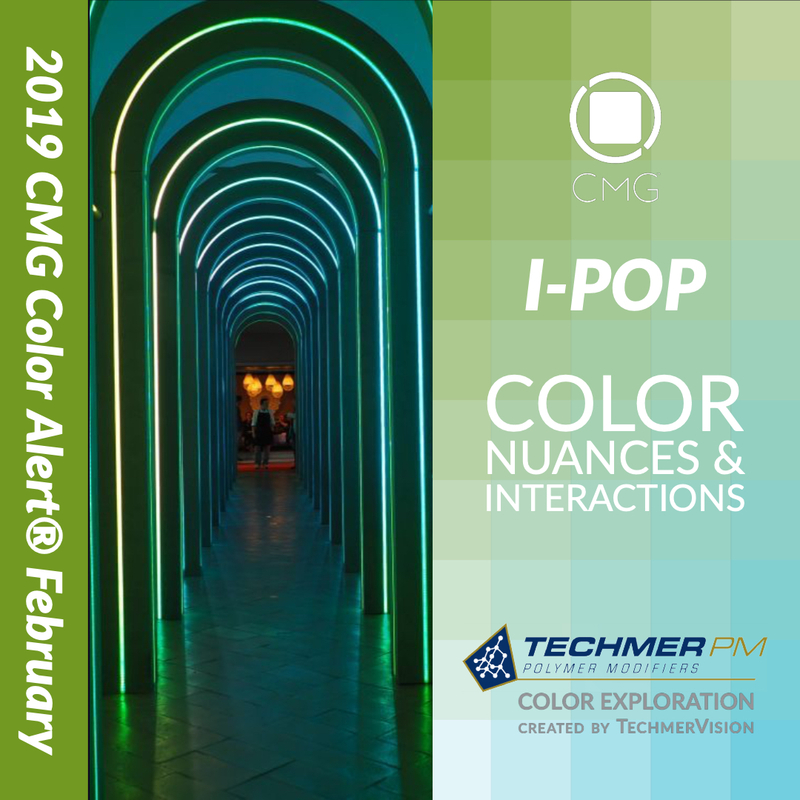 Techmer PM has partnered with Color Marketing Group® to bring members the TechmerVision Color Exploration I-Pop MAXIMIZE, an extension of the Color Alerts® which explores colors in combination with the forecasted color. When applying trend or directional colors during the product development process, one may need to do some further color design exploration to identify the perfect product color. By using the TechmerVision digital color tool to explore Color Marketing Group’s Color Alert® MAXIMIZE, colors in combination with the Color Alert monthly forecasted colors, designers are able to visualize color nuances, interactions, and harmonies to accurately and quickly prototype colors for products that are on-trend. How do you make a bigger statement than I-Pop? Add effects, and sheen, and dazzle. And other colors! I-Pop is all about expression, vitality, and personal power. So mix it up even more with this color that can take on all callers. Shift I-Pop with a matte metallic finish to embolden a mean, green machine that eats up highways and blazes its own path. Develop a sense of divine decadence with a manicure in a familiar color, but in an unfamiliar place. Shine it up, fill it with glitter, no matter what you do it simply makes I-Pop’s bold statement even bolder. Read the full Color Alert® and Color Alert® MAXIMIZE color story. TechmerVision Color Exploration is a web-based color tool that accurately visualizes forecasted color directions beyond the actual hue. It provides a quick and affordable way to increase color harmony while minimizing color discordance during the product development cycle. The aim is to help designers translate their inspiration into color for application and for design development purposes. TechmerVision Color Explorations can be downloaded from the member-only Reports area. Not a member of Color Marketing Group?